THE MOST ADVANCED TIE-DOWN AVAILABLE FOR TRUCK AND VAN RACKS! Polyester strap is UV protected and water resistant. Great in all climate conditions. 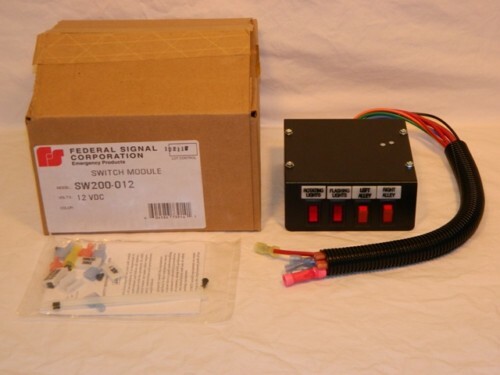 Model SW200 offers four SPST rocker switches. Switch 1 has 40-amp capability, and switches 2–4 have 20-amp capability. Lighted single-pole, single-throw (SPST) rocker switches for control of virtually any type of lighting function. Switch 1 controls rotating lights and comes prewired to a 40-amp relay and self-resetting circuit breaker. Switches 2–4 have 20-amp capability and are fused on a 20-amp circuit. These five bladetype fuses are mounted on the back of the switch control housing and correspond in sequence to the switches they control. This makes it easy to find any blown fuse for replacement. SW200 comes with plastic legends that apply to the police and fire markets. These legends are backlit, glowing a soft green for easy nighttime viewing, and can be easily popped out and replaced when control functions change. Legends include: rotating lights, flashing lights, compartment light and front light cutoff. 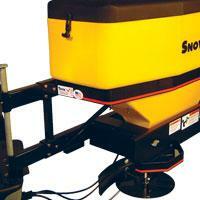 The GAK-020 Gate Assembly Kit converts tailgate spreaders for use with granular and pelletized materials. 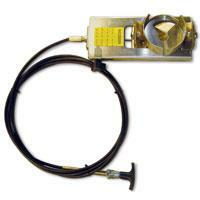 It includes an adjustable stainless steel gate that regulates flow rate (10’ cable included). Sale price is good for stock only items. Once all stock items are gone, sale price no longer applies. The PMT-175/PMT-175C Pivot Mount/GM Pivot Mount is a swing-away mount that allows full use of a pickup’s tailgate. Sale price is good for stock only items. Once all stock items are gone, sale price no longer applies. Shipping is not available for this item, pick-up only.